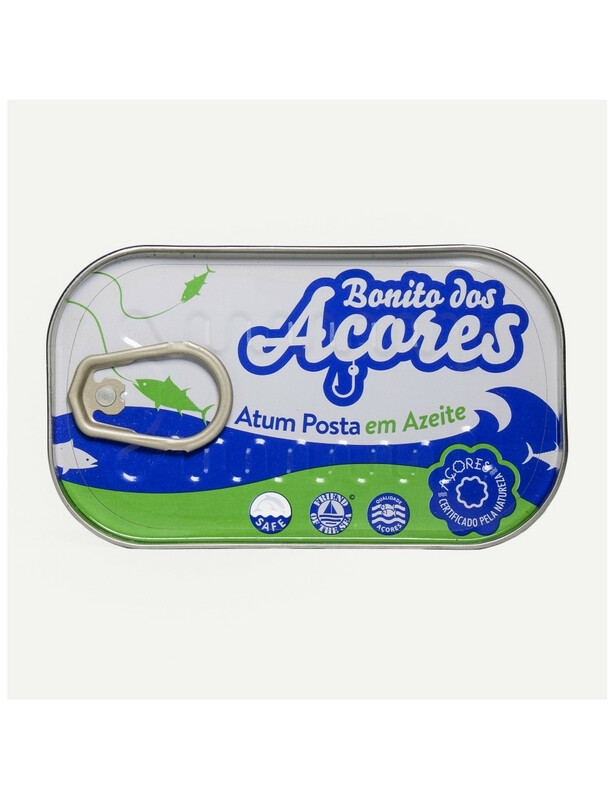 Tuna flitch Bonito dos Açores in olive oil, from the island of São Jorge. Can of 120 grams. Ingredients: Tuna flitch, olive oil and salt.